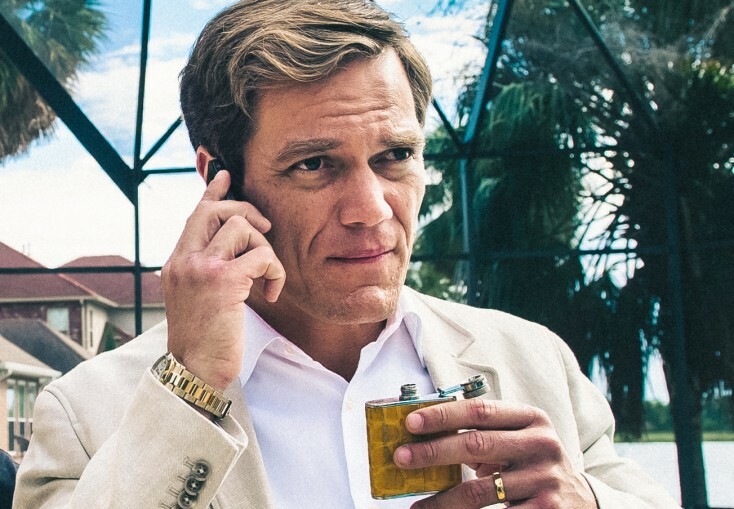 (left) Michael Shannon stars as ‘Rick Carver’ in 99 HOMES. ©Broad Green Pictures. Ramin Bahrani (“Man with a Push Cart,” “At Any Price”) directs the drama from an original screenplay he co-wrote with Amir Naderi and Bahareh Azimi. Shannon, 41, spoke about playing Carver and how he sees the film not as a story about the foreclosure crisis but about the relationship between these two very differently wired men. Q: What kind of research did you do to embody this character? Shannon: I just followed Ramin’s lead. Ramin has been reasserting this subject for a year. I met some people, including one guy who does this, which was a very informative experience. I was able to not only get a sense of what the job was but the effect it had on this particular person. I could tell that he had a very even-keeled demeanor, very pleasant, but he also carried a lot of stress. He alluded to the fact that he literally had trouble sleeping at night. That was kind of the root of it, and then I just think Ramin is so well informed about this world, about people. Q: In some regards, your character is the perfect guy to hate, and yet he is living the American Dream by supposedly playing by the rules that are in place. So what’s your take on him? Shannon: I can’t play the politics of it; I can’t act that. People ask me, “Do you like him? Do you not like him?” and I’m like, “Ehh.” Ironically, as much as this movie is about the financial crisis, people losing their homes, it’s also about people. To me, Rick is a deeply lonely individual. He is very unhappy. The amazing part of the story, for me, is seeing this dreadful moment when he is trying to yank Dennis’s family out of the house. There is some sort of fascination with this young man. He’s looking at him as perhaps a friend, an ally, a protege, maybe even a son. I think that relationship, and cultivating that relationship, is integral for the film to have any impact, otherwise you could have made just a documentary about a bunch of people sitting there saying, “Yeah, I lost my house,” and that would be a different story. This is a story about a relationship, and that’s how I approached it. How do I feel about this or that? This is a man who is very tormented. He said he’s numb. He’s clocked in self-doubt and self-loathing like most people have, so, it’s all about this relationship with Dennis. That’s how I approached it. 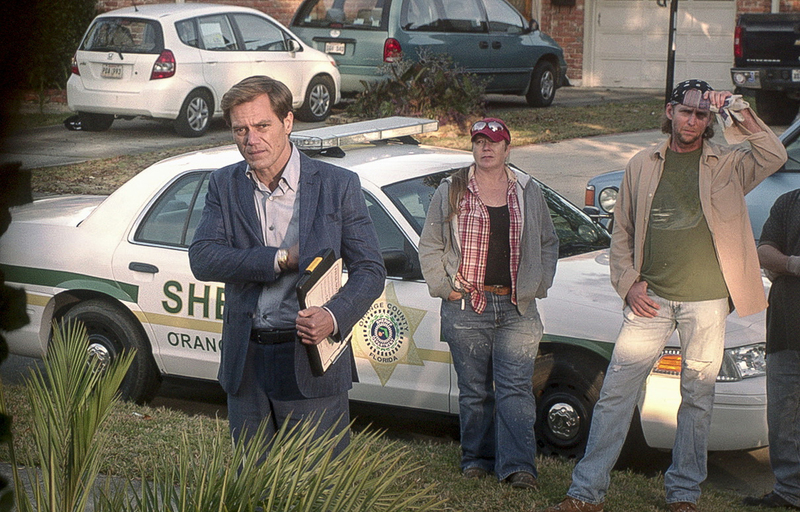 Q: “99 Homes” is really about predatory lending and bank corruption on a massive scale. It’s all documented. What is your personal take-away of that? Shannon: I think banks are strange. I’ve always thought that the notion that everyone bringing their money to this one building full of strangers and handing it to them, and the bank is like, “Oh yeah, don’t worry about it, I got it for you.” Mortgages have always felt like a scam to me. They don’t make any sense. You have to pay so much more than the value of the house. So I don’t get it, but I don’t think we can get rid of them at this point. They’ve been around forever, right? They’re all a bunch of Freemasons. That’s what I think. Shannon: I really like Ramin. He’s very economical in how he couches things. He doesn’t want to waste time or money. He’s very responsible. He’s very prepared, not that the other directors I’ve worked with aren’t, but I think he has a real respect that he gets to make a movie. He takes it very seriously. It’s not glamorous; it’s really un-glamorous. I think he’s a thrilling director to work with, to collaborate with. I think he took a lot of interesting risks. The fact that we got to work with (non-actors) and really kind of sink into the atmosphere of it, I give him a lot of credit for that. That’s a risk. It could have really backfired. You’ve got to make sure it’s going to work to your advantage. Q: What is the most unforgettable scene for you either as an actor or a viewer? Shannon: I’ll never forget that scene on that **** golf cart. That was freezing. ****, that was cold, driving around without any clothes on. Well, we weren’t naked, but we weren’t dressed warm enough. Q: Weren’t you shooting in Louisiana? “This is insane.” But I like a lot of scenes. I like that scene where Andrew and I were on the dock, after the party. We just went out there and got to do a lot of runs at it. We did a little improv. I don’t know something about that night, it just felt right. Q: Other than the cold weather, could you tell me what it was like shooting in Louisiana? Shannon: I’ve been shooting a lot down in Louisiana lately. I feel like I’ve spent half the year down there. I love New Orleans; it’s such a growing city. It’s interesting. We were staying in New Orleans, but then we would drive out to these remote locations, in weird subdivisions in the middle of nowhere. It was so remote and they had these huge houses. It was good because it was supposed to be in Florida, but I can’t imagine a better location. There were these big houses side by side around a lake. I guess that’s why they call them McMansions. It was great.